Analysis: Jones signed under the second-round tender designation, which values his contract at $3.095 million for next season. He was productive last season for the Patriots, collecting 56 tackles (44 solo), one sack and three interceptions in 16 games. Jones has proven to be durable, as he has never missed a game in his three-year career. Jones received a second-round tender from the Patriots on Tuesday, Ben Volin of The Boston Globe reports. Analysis: The $3.095 million tender essentially ensures Jones will remain in New England, as any team would need to give the Patriots its second-round pick in order to court the 25-year-old cornerback. Jones, who went undrafted out of Auburn in 2016, posted 56 tackles, 1.5 sacks, seven passes defended, three interceptions and one forced fumble last season. In three years with the Patriots, Jones has never missed a regular-season game. Jones recorded eight tackles (five solo) and a pass defensed in Sunday's win over Miami. 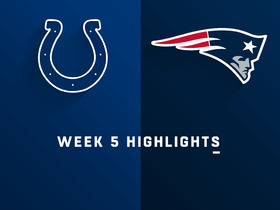 Analysis: Jones drew his first start of the season while Eric Rowe (groin) was inactive. Jones saw 42 defensive snaps -- slightly less than he played the past couple weeks -- but the defense was only on the field for 49 plays total. He'll figure to continue seeing significant playing time as long as Rowe remains sidelined or limited. 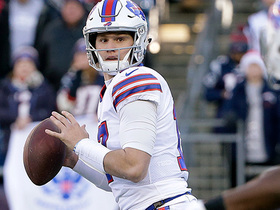 Jones has impressed those close to the team since his rehab stint and could have the "inside track" at the slot corner position, Mark Daniels of The Providence Journal reports. Analysis: Jones is only one week removed from the PUP list, so there's still plenty of room for evaluation. Still, it's encouraging to hear the positive praise directed at him. At the very least, Jones seems to be in comfortable position to make the team heading into the regular season. Jones (ankle) came off the PUP list Tuesday and participated in practice, Ben Volin of The Boston Globe reports. 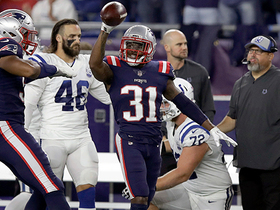 Analysis: Jones suffered the ankle injury back in January in the Patriots' playoff win over the Titans, and it looks like he is now close to making a full return. The Patriots will likely ease Jones back into the swing of things, and chances are he is limited to start training camp given his lengthy absence. Jones (ankle) was placed on the Physically Unable to Perform list, Mike Reiss of ESPN.com reports. 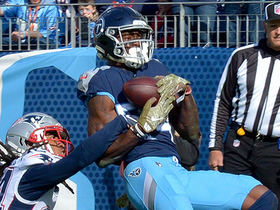 Analysis: Jones suffered an ankle injury in the Patriots' divisional victory over the Titans back in January and does not appear to be fully healed. The third-year pro could have an opportunity to see extra time on the field this season as long as he returns to full strength in the near future. 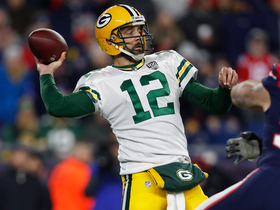 Jones (ankle) is expected to participate in the Patriots' offseason workout program that begins April 16, Ben Volin of the Boston Globe reports. Jones (undisclosed) was placed on injured reserve Wednesday, Mike Reiss of ESPN reports. Analysis: Jones suffered some sort of injury during the fourth quarter of last week's divisional-round victory over the Titans. 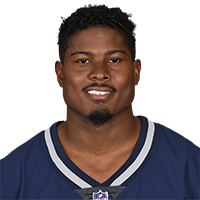 A core special-teams player for the Patriots, Jones' spot on the 53-man roster will be taken by return specialist Bernard Reedy. Jones had a nine solo tackles and his first career sack against the Dolphins on Sunday. 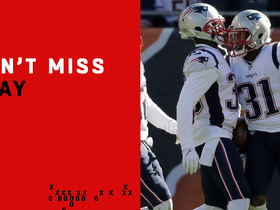 Analysis: While Eric Rowe (groin) has sat out, Jones has had ample opportunities to prove his worth, one season removed from making the team as an undrafted rookie. The Auburn product has 14 solo tackles over the last two games now, and if Rowe misses another matchup against the Bills in Week 13, Jones will have another chance for a high-caliber performance. 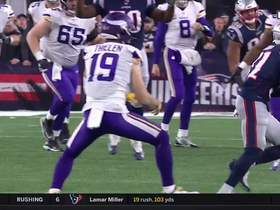 New England Patriots cornerback Jonathan Jones intercepts Minnesota Vikings quarterback Kirk Cousins late in the fourth quarter. New York Jets wide receiver Jermaine Kearse makes an impressive one-handed grab on a 17-yard catch-and-run. Tennessee Titans wide receiver Corey Davis uses an acrobatic leap to make a sensational grab. New England Patriots cornerback Jonathan Jones leaps into the air and grabs the football with one hand for an interception. 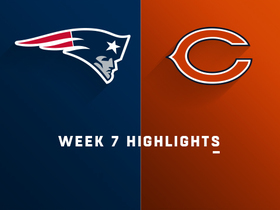 New England Patriots quarterback Tom Brady throws for three touchdowns and the Chicago Bears' last-second Hail Mary attempt comes up just short in a 38-31 Patriots victory in Week 7 of NFL action. New England Patriots defensive back Jonathan Jones comes up with a wild deflected interception.